It is no surprise that exercise is great for the body. Cycling is one exercise that has tons of surprising health benefits. Regular cycling can help to improve your circulation overall. It can help to improve the flow of blood in the muscles and in the vascular networks of the body. It can also improve the circulation in your heart and your extremities and can help with overall circulation and breaking up any vascular issues you may be experiencing.Overall, cycling is a great way to help improve circulation to all parts of the body and to help you feel great. Regular cycling can also help you to train your lungs to hold more oxygen and to better use the oxygen that you are taking in. It can also help improve overall oxygen use in the body and can help you to stop being short of breath when you do everyday activities. Unlike other sports, it has the ability to slowly but surely help expand lung capacity so that you can do more and get more active without that much stress on the body. Cycling is also a low impact sport so it is great for all ages. Those that have issues with joint pain, arthritis, that are overweight or those that simply cannot tolerate high impact sports and high impact exercise can benefit greatly from cycling. It is low enough impact that even those that have health issues can benefit from it and can participate. It is also great for all ages, all skill levels, and all body types so that you can adapt your cycling to the style and level of ability that you are most comfortable with. Cycling is also great for the heart. It can help improve vascular pathways and can help to improve overall circulation in the heart as well as help strengthen the heart and the muscles around it. This is a low impact sport so it is not going to cause a huge amount of strain on the heart so that you can get the cardio that you need to lose weight and feel good without putting a huge amount of undue stress on the heart. You can use cycling as a way to lose weight or a way to maintain heart health and to stay feeling great no matter what. Cycling is a sport that engages a large number of muscle groups and that helps to burn calories and boost metabolism. This means that it is going to help keep you feeling good and is going to help you lose weight quickly and keep it off. Unlike weight training or straight cardio, cycling is going to combine a bunch of different techniques into one so that you can stay moving and stay feeling great. 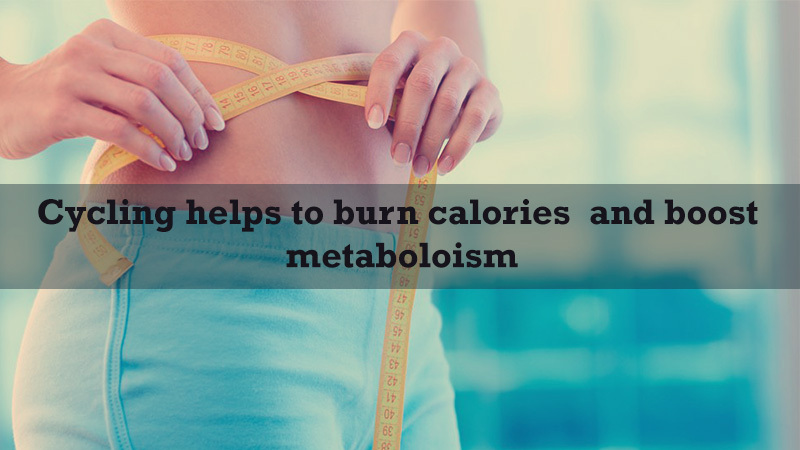 It is also engaging to the entire body making it great for weight loss. Cycling engages a huge number of muscle groups and is great for training the body to do more and to be more effective overall. Cycling can engage the core, the arms, the legs, the glutes, and so much more so that you are not only going to get your heart racing, you are also going to get almost all the muscles in the body working so that you can feel great and so that you can truly train your entire body. This is going to get you more effect for less effort so that you can get the most out of your workout. This is a great way to spend an afternoon and to just have fun. Cycling is a great way not only to lose weight and to get into shape but it is also just plain fun. You can see parts of your neighborhood, your town or your area that you have never seen before or you can explore somewhere completely new. Cycling gives you the chance to see the world while getting into shape and having a great time doing it. You may even have so much fun you forget that you are working out.